The historical characters whose lives revolve around a religious thought, often remain in a kind of no man’s land or limbo between the certainty and the pious imagination or not of its followers or detractors.Mary Magdalene, a follower of Jesus at the time, is a difficult character to show with due historical accuracy. 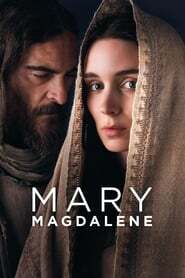 Now, the cinema returns to that figure for the film with its name as title: María Magdalena (2018), Anglo-Australian production under the direction of the Australian Garth Davis. The film is based more on the Gnostic tradition than on the version of the Christians that gave rise to Catholicism, that is, it feels more presence of the apocryphal Gospels than of those who did enter the Bible as inspired texts (from Luke, Mateo, Marcos and Juan).Undoubtedly, the writers went to the Gospel written by Mary Magdalene herself (apocryphal) and, thus, avoided the confusion of presenting her as a prostitute, adulteress or repentant woman, as was said from Pope Gregory the Great, in the year 591.